1. It describes the recent phenomena of urban growth accompanied by increased food demand. 2. It describes the role of small and intermediate urban centres in facilitating exchange between the towns and the countryside. 3. It defines the objectives of improving linkages by making marketing interventions. 4. It outlines the purpose of the guide as a framework for studying market linkages. 5. It provides a summary of the overall process that is recommended by the guide. By 2030, 60 percent of the world’s population are expected to be living in urban areas. As shown in Table 1, estimates of urban population increases vary widely, from a doubling to a trebling over a 20-year period. Population increases in less developed countries are also adding significantly to the proportion of the urban population that is living below the poverty level. fifty percent of the population below the poverty line is common and figures for the year 2000 were as high as 80 percent for some cities. This urban expansion has four main consequences for food security, as shown in Box 1. Population growth is not solely in larger metropolitan centres - the mega cities. The number of small and intermediate sized urban centres are also increasing and also have an important role as links in the marketing system (as explained in Chapter 2). The International Institute for environment and development (IIED) estimated that by 2000, more than 60 percent of the urban population of Africa, the Caribbean and Southeast Asia (as well as Europe) were in urban centres of less than half a million inhabitants. These market towns and administrative centres are of critical importance in facilitating exchanges between rural and urban areas. Rural populations depend on these urban services, including access to traders and markets to dispose of their agricultural produce and to access the retail stores and other facilities located in local urban centres. The intermediate centres also provide employment opportunities for rural populations and may, in some cases, help to decrease migration pressure on the larger urban centres. 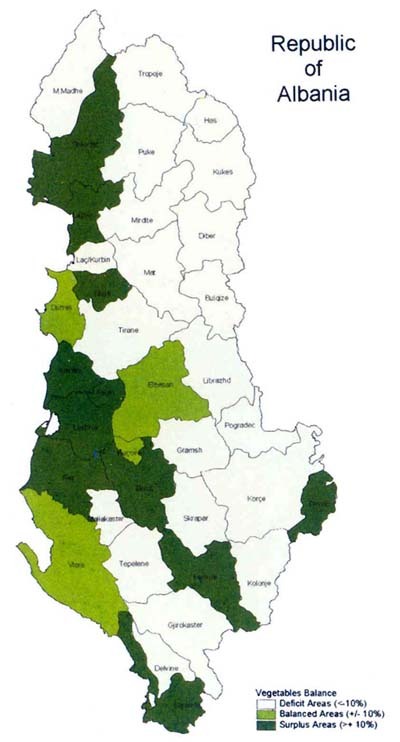 Source: FAO, Aragrande and Argenti (2001). Distance of low-income families from markets increasing, meaning additional costs in time and transport to access food supplies. As long as issues of social and spatial polarization (so often linked to economic reform, restructuring and the internationalization of trade and production) are not addressed, it is unlikely that regional economic growth policies can contribute to a more equitable development and more successful poverty reduction. This is one of the main reasons behind the failure of so many past regional development policies focusing on the role of small and intermediate urban centres in local economic development. Source: Satterthwaite and Tacoli (2003). IIED, London. Structural adjustment programmes have had an impact on low-income groups and the dismantling of marketing boards has increased reliance on local markets. Access to these markets is often hampered by lack of investment in transport infrastructure and storage facilities. The background to these issues and the relationship to local governance and to livelihood diversification is summarized in Box 2. Marketing facilities and other post-harvest infrastructure are usually limited in expanding urban areas. urbanization is largely unplanned and local authorities generally do not have clear policies on developing facilities to meet their future needs. The objective of marketing interventions is to bring an improvement in the marketing of horticultural and other agricultural produce, promoting strategies for increasing food security. An efficient and functioning marketing system is a precondition for agricultural diversification and improved nutrition. This enables better prices to be obtained by producers (leading to higher incomes) and improves the availability of competitively priced produce to consumers. Government policies increasingly recognize the importance of marketing to the commercialization of agriculture and the expansion of agriculture productivity. Linking of producers to consumers is usually addressed in two ways: through improved marketing extension and by improving physical infrastructure. This guide focuses primarily on physical infrastructure, including rural and urban markets, and rural access roads. The starting point of such a study is the supply side (the producers). It involves identifying main production areas for key crops and their handling characteristics, transport modes, looking at past growth and the potential for increased production. next, the physical facilities that support this network of linkages are reviewed, including communications, as well as the intermediate markets and other infrastructure that facilitate linkages. Produce flows to local, regional and city markets are assessed and an evaluation undertaken of infrastructure improvements needed to meet future demand coming from the urban areas. finally, the implications of transport improvements on market linkages are reviewed. The guide provides a simple planning methodology and framework that focuses on the issue of linking farmers to market outlets for their produce particularly identifying their marketing infrastructure needs. local authorities, communities, farmer groups and voluntary organizations, concerned to understand marketing constraints and with ensuring that rural producers have better access to markets for their products. The first step is to understand the types of formal and informal linkages that make up the overall marketing system. This includes who is involved (the market “functionaries”), where they operate from (their spatial distribution) and how they interact (at markets or farmgate). These linkages and the regional planning background in which they operate is the subject of Chapter 2 of the guide. Before starting with any fieldwork it is necessary to carefully evaluate what information is already available that will provide an understanding of the various linkages. The guide’s approach is to use rapid market appraisal and participatory techniques, including personal observations, interviews, surveys, focus group discussion and reviewing relevant secondary literature. The methods for undertaking this review and placing it within a marketing framework areo utlined in Chapter 3. This includes quantifying the supply flows in marketing channels, how these flows are handled through a network of rural market facilities and how the data collected can be used to estimate the demand for food marketing facilities in urban areas. Chapter 4 outlines how to synthesize the information gathered in the previous steps so a comprehensive picture is obtained of marketing linkages. The method described provides planning processes that can be used as decision-making models for improving both rural and urban marketing systems. Some fieldwork will invariably be required. At one extreme it may be necessary to obtain an overall picture of marketing linkages where no other information is available and at the other extreme to confirm assumptions made on the basis of present data. one of the most effective ways of doing this is through informal group discussions with producer communities and this is described in Chapter 5.
other survey data on produce flows and physical facilities will also be required, involving discussions and, sometimes, formal surveys to be undertaken with market traders, commission agents, transporters and consumers. Information from these surveys is often more difficult to collect than from farmers. These types of surveys are described in Chapter 6. The guide concludes with a review of methods of evaluating transport infrastructure proposals so that they incorporate and facilitate marketing linkages. 1. It defines what market linkages are. 2. It describes the types of intermediaries that are involved with marketing. 3. It describes the main marketing channels. 4. It outlines the relationship between marketing, transport and accessibility. 5. It describes the influence on marketing of the spatial distribution of settlements, and the relationship between location and agricultural land use. 6. Finally, it examines the impact of location theory on regional and rural development policies. Some general principles need to be clarified to provide a basis for understanding food-marketing systems within a development context. In order to make any effective interventions in a marketing system it is necessary to define the types of marketing channels, their linkages and functions. by the spatial distribution of transactions - where they occur and whether this forms a pattern. There is obviously a close interaction between these definitions, but it is useful to separate them so that a clearer understanding can be developed of the marketing system. A number of these factors are described in other FAO publications but are also summarized below so that a complete picture can be built up of the marketing system. However, before describing these mechanisms it is important to understand what the market linkages are intended to achieve. They are meant to facilitate the flow of produce between the different levels of the marketing system. The input to the process is the agricultural production (the supply) and the output is the consumption of that produce by consumers (the demand). This guide does not focus on the performance of the marketing system as such but assumes that if the system can be made more efficient it will be more competitive, will facilitate economic growth and will maximize benefits to farmers. Thus, the marketing process needs to be undertaken as efficiently as possible, at the lowest cost and with the minimum of losses occurring at each stage. The simplest link between production and consumption is where farmers sell their own produce directly in a market. This is more usual in rural markets, but may also occur at farmers' markets located in urban areas. The private sector is playing an increasingly active role in most developing countries in providing inputs, agro-processing and marketing services. Thus the linkage between the rural and urban areas is often provided through a network of traders or intermediaries, the costs of their activities being paid for through the marketing margins. The role of these intermediaries may overlap and in less-developed marketing systems their function may be unclear. The relationships among producers, wholesalers, and retailers play an important role in the marketing of produce. Such linkages can create mutual trust among different functionaries in the marketing system, but may also cause a dependency relationship between parties and make it difficult for newcomers to enter the marketing process. Linkages are often based on village proximity (area based) or on family relationships developed over many years. Petty traders and assemblers, who are specialized middlemen that purchase produce from farmers at the farmgate or local market, for selling to other traders, wholesalers and retailers. They may use their own transport or hire from a transporter. Independent collectors and commission agents, who take possession of produce from an individual or group of farmers and then sell the produce to a wholesaler, market trader or other middleman. for providing these services the collector (or commission agent) normally charges a percentage of the final sales price. Market agents, linked to specific markets who sometimes also act as brokers for wholesalers or as auctioneers at the market. Wholesalers and semi-wholesalers, located in markets or independent facilities, who may also function as retailers. Retailers, who buy either directly from farmers, from traders or wholesale markets, and sell the products to consumers through retail outlets. Sometimes, contracts may be arranged with an organization, such as a food processor or wholesaler, who makes an advance contract with a group of farmers to supply a specified product on a regular basis. The buyer usually provides seed and extension advice, sometimes credit, and also guarantees to procure the produce at harvest at an agreed price. Poultry farmers, for example, may develop a long-term relationship with poultry processing companies, who may provide baby chicks, feed, and medicines. when the broilers are ready for sale, they purchase them from the farmers at the prevailing market price or at a previously agreed price. institutions, such as schools, army or hospitals. With these arrangements an individual or group of farmers' make a collective agreement for the supply of produce. Transport would be either organized by the farmers or may be supplied by the buyer. There is often scope for group marketing of produce to obtain better prices for farmers. for high value vegetables and fruits, especially for export, contract arrangements may be feasible. sale from supermarket display and cooling cabinets. Marketing channels often vary according to the type of agricultural produce. marketing, both for fresh produce and for semi-perishable produce, such as grains, lentils and onions, is normally through markets. These can either be formal markets, set up by central or local government, or informal markets, where trade has spontaneously developed. The main types of markets are described below. In rural markets, trade is characterized by direct sales of small quantities of produce by producers to village traders and by retail sales to rural consumers. The rural markets normally form part of a local trade network and are usually arranged on a periodic basis, on specific weekdays. They are commonly organized at a central place in a village or district centre or beside a village’s access road. In some instances, provincial and district-level markets also serve this function, as well as providing an assembly function (by combining produce in larger quantities for onward sale to outside buyers). Larger rural markets occur where greater quantities of produce are traded, either by the producers themselves or by traders. These “assembly” markets, which are often combined with local rural or town markets, are normally situated on main highways, near to local transport interchange points. Traders, collectors and commission agents, acting on behalf of urban wholesalers are the main buyers of produce at these markets. Terminal wholesale and semi-wholesale markets are located within or near to major cities. If an urban population exceeds 0.5 million some form of wholesale facility is likely to develop. These centres may be supplied by purchasing/assembly centres in the rural areas or directly from farms, particularly those in peri-urban areas. The supply is either from agents, traders or by the farmers themselves. within wholesale markets, traders often handle the transactions and only larger producers deliver their own produce. Thus, the produce after its arrival in an urban area often passes through a number of intermediaries, including retailers (see below) before it reaches consumers. These are markets directly serving consumers. Although primarily retail, they may have a semi-wholesale function, particularly if they allow farmers to trade in them. In that case, they are often called farmers' markets. This form is very typical in developing countries, but there has also been a strong trend in the USA, the UK and other parts of Europe to create farmers' markets for the sale of specialized produce, such as organically grown fruits and vegetables. In many countries small retail shops, often termed “corner” shops and roadside stands provide produce close to consumers’ homes. Alternatively, with very low-density urban areas mobile shops or stalls may supply consumers. These retailers usually purchase their produce from wholesale markets, although in some cities there are many small hawkers, operating from bicycles or small carts, which provide retailers with small quantities of produce or sell directly to consumers. In Kathmandu, for example, hawkers account for more than 25 percent of the produce outflow from the wholesale markets. The rapid growth of supermarkets in developing countries is having a significant impact on shopping habits. however, the degree to which supermarkets have had any major effect on the marketing of fruits and vegetables, or on fresh meat, varies significantly. In Latin America and the middle east supermarkets dominate the trade in fresh produce, but this is less apparent in Asia or Sub-Saharan Africa, where supplies from traditional markets continue to be very important. Channels other than markets also usually exist, particularly in the case of horticultural produce. The main alternative is likely to be on-farm or “farmgate” sales, where collectors purchase produce directly from farmers. They then arrange transport to processors, wholesale outlets, packhouses or directly to supermarkets. In the case of fruit, especially in the near east, India and Pakistan, produce is often sold on the tree and the purchaser may arrange for picking, packaging and transport of the produce to wholesale markets. Other alternatives to formal markets are community-level marketing groups or primary cooperatives, which may organize transport facilities and manage and maintain their own collection centres and small-scale packinghouses. Levels of rural indebtedness and credit. If formal credit is not available, marketing intermediaries have an intimate relationship with producers and often take on the role of providing finance. for semi-perishable produce, the marketing intermediaries may be able to provide suitable local storage facilities. when distances to market are long, transporters may take on the role of providing suitable vehicles for bulk transport. whether there are already contracts arranged between producers and distributors. These contract arrangements may be extended to adjacent areas or to those served by the same transport system. It needs to be remembered that the flow and linkages are in two directions. A production area may not be able to provide all its own needs and the role of local centres will be to make up these deficiencies. This can have both positive and negative implications. Government policies are often oriented to reducing the number of market intermediaries and encouraging farmers to market their own produce directly to consumers. This is not necessarily to their advantage as intermediaries may provide marketing and transport services more cost-effectively than the producer. This can only be confirmed by looking at the whole pattern of costs and is usually measured by what proportion of the end-price the producers receive. for example, 30 percent might typically be unsatisfactory and 50–60 percent satisfactory. In much of the developing world, mobility in rural areas is hampered by the lack of all forms of transport facilities and by poor roads which discourage the use of personal transport. Thus, in looking at market channels it is also necessary to understand how they are influenced by transport systems. The best way to gain an understanding of access issues is to start with the agricultural production area - to understand farmers' concerns - including how their relationship with their suppliers, transporters and buyers is influenced by transport. The trade links in the agricultural marketing system are those routes used by farmers and by transporters carrying farmer’s produce. The mode of transport used, the length and time of journey, and the costs of transport will all affect the efficiency of the marketing system. Table 2 illustrates the wide range of forms of transport and the relative loads, speeds, coverage and costs. By looking at individual routes that serve production areas, the planner can determine the catchment area from which the products will come. It should be remembered that some of the products will be consumed locally (including on the farm itself). The surplus will pass through the channels described above: some will go to a nearby village, to a provincial or district town or to the capital city and some may be exported to other countries by road or, in the case of very high-value products, by air. Policy Program, SSATP working Paper no. 56, world Bank, Washington, DC. Overall, around 91 percent of trips made in rural areas are by foot - the dominant journey being to the farm holding. The second most important transport mode (around 4 percent) is by bicycle, which is particularly important for trips to market. The oxcart is the next most important (2.4 percent), followed by boats (1.6 percent), most of which is using non-motorized boats. Boat use is predominately for fishing purposes. Only 0.8 percent of trips are by motorized vehicles and the vast majority of these are to market and are by motorbike, rather than bus, pickup or car. In reviewing rural transport it is usual to concentrate on roads and, by implication, on the motorized forms of transport that use them. however, looking at the dominant modes of movement in rural areas, trips by motorized means generally make up a very small proportion of the total. It is also likely that the transport mode will vary substantially depending on the trip purpose. A typical example of transport modes for rural Cambodia is shown in Box 3. Roads are only one of the means by which transport systems may need to be improved. equally important in many cases is other infrastructure, such as bridges and jetties, and improved transport facilities. These might include water transport and animal power. Sea transport and ports are particularly important for inter-island trade in archipelagos, such as Indonesia and the Philippines, in the Caribbean, and between the South Pacific islands. Slowness of sea transport is always a problem if they are used to transport perishable produce, particularly if this necessitates double handling of produce. This may be mitigated if roll-on roll-off facilities are provided, as in the Philippines. River transport is an important form of market linkage in the counties of the Mekong Delta, in China and in Bangladesh. The use of railways for carrying produce tends to be more important in larger countries, such as India, China and Russia. In Iran, for example, some 8 percent of produce is transported by rail. Ropeways are used in mountainous areas, such as in Bhutan and Nepal, to link remote production pockets to the main road systems. Air transport is rarely economically feasible, except for high value crops. Data communications infrastructure is an increasingly important element of marketing linkages, allowing timely price data to be used to adjust production and market supplies to maximize prices for producers. formerly, market price information systems have been based around centralized data collection systems, supplied from markets by fax or landline telephones, and using radio and television for dissemination of the information. Increasingly this is being replaced by e-commerce online computer techniques (such as the e-kiosks in India) and by links to price data on mobile phones, using short messaging services (SMS). one of the main issues in applying such systems is the need to have grades and standards so that the prices can be applied to defined produce. providing greater opportunities for social and educational journeys and providing more direct and cost-efficient access to public services, such as schools and health facilities. The justification for improving an individual route may be relatively easy to establish. however, the difficulty is that although the local point of access may be obvious, such as a route running through a production area, the importance to the marketing system of the whole network cannot be ignored. Improvements to secondary routes linking the villages to higher level settlements may be of equal and greater importance, as could be the tracks linking the village to the farm. figure 1 illustrates the typical relationship between the road hierarchy, the settlement pattern and the marketing system. Market access is thus one of the most important factors to be taken into account when rural road improvement programmes are being formulated. The typical assessment techniques that may be used for evaluating rural roads are reviewed in Chapter 7. The spatial characteristics of marketing are normally reflected in the rural settlement pattern. There is a vast literature on the spatial aspects of marketing related to settlement patterns. This section concentrates on the main theories that are used to describe the regional hierarchy of settlements and markets. The description is based on the main original sources of location theory, that of the German geographer Christaller in 1933. Source: Lebo. J and D. Schelling. Design and Appraisal of Rural Transport Infrastructure: Ensuring Basic Access for Rural Communities. World Bank Technical Paper No. 496. World Bank, Washington DC. A key concept in rural development is how rural towns and villages relate to the overall pattern of rural settlement. Rural towns and villages can be the main force driving the economic livelihood of rural areas. They act as “central places”, in providing and servicing the population of the surrounding areas with goods and services. They may also be the main focus for the assembly of local farm produce, for bulking-up into loads and for onward movement of the produce to urban areas outside the region. This relationship or linkage between the centres and individual settlements is normally defined as a “hierarchy” of “catchment areas” or “spheres of influence”. 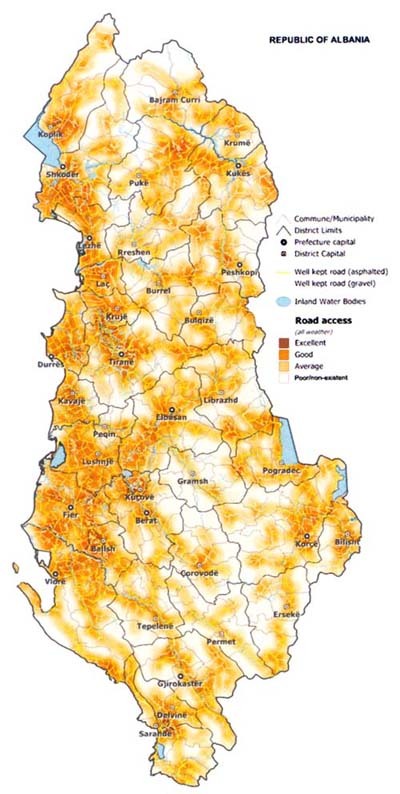 A catchment area’s coverage represents the “range” or “threshold” for economically providing services or goods, which in turn is influenced by the cost of transport. The theoretical shape of catchment areas is circular, but it is normally represented as a series of nesting hexagons. In reality, transport routes and other geographical features distort the location of centres and the shape of their related catchment areas. Because of a desire for accessibility, this pattern of centres results in population concentrations. This is normally arranged in a hierarchy of settlements. In such a system, the lowest order centre (e.g. a village) would look to the next level (e.g. a rural service centre located in a small town) for more specialized services. 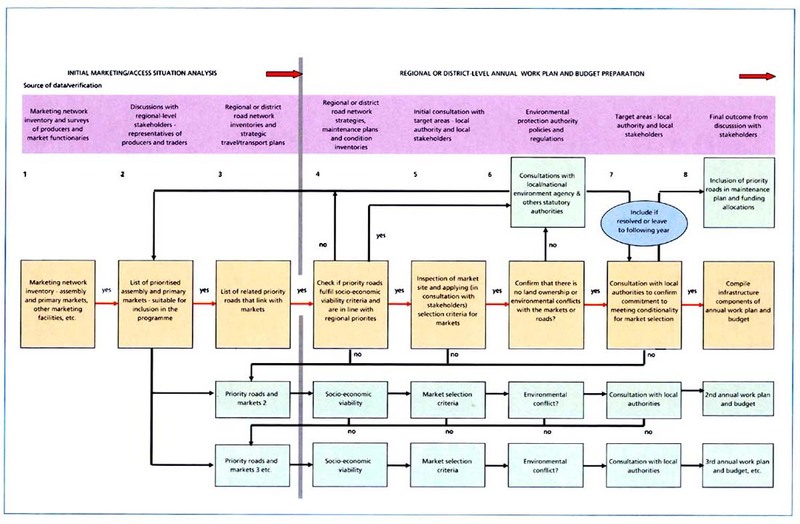 The system culminates at the top of the hierarchy with the highest level of services, such as speciality markets, provided in a district or provincial capital or wholesale market in an urban area (see figure 2). Services provided at the lowest level of centre typically include a primary school, a health post or dispensary, a police post and a primary market, often operating periodically, rotating on a weekly or fortnightly basis. Rural service centres are normally located in the centre of a village (and associated hamlets) serving around 500 to 1,000 families. A population of 5 000 people is common and the centres usually have a catchment area not exceeding a 10-kilometre radius from the market. These are rural settlements whose primary function is to provide administration and to deliver public services. These centres might contain a secondary school, a health clinic and a market area, which might perform assembly functions for the district. The market area is often associated with a bus stand and a number of permanent shops. 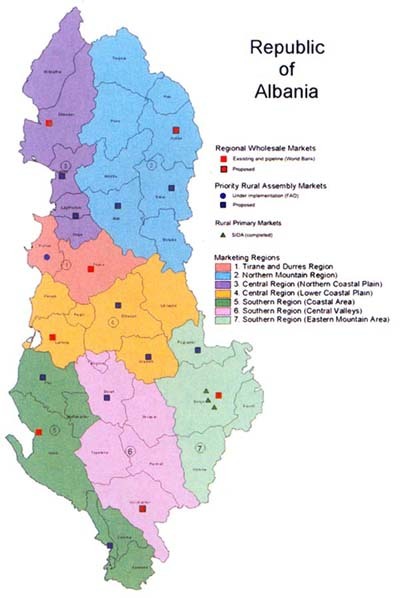 Major regional/provincial towns or cities are usually based on a sustainable natural resources base (such as agriculture or mining) or a main administrative function, with strong social and economic linkages to their hinterlands. The centre might contain a range of higher-level services, such as colleges, hospitals, banking services, a major market (often with some wholesaling functions) and specialized shopping facilities. emerging local, regional and cross-border agricultural marketing patterns. economies of scale in providing social facilities (health and education) and public services, such as agricultural extension and infrastructure (rural roads, electrification, irrigation, markets, etc.). The growth pole theory provides a link between location theory (the drive of an individual enterprise to locate at an optimum location) and regional planning (which normally aims to correct structural “imbalance” and to distribute services and income on a more equitable basis). development at a growth pole has spatial implications and naturally has around it a zone of influence (or growth zone). however, evidence from many countries tends to indicate that growth poles only influence areas within a relatively short distance of the centre. Application of the growth pole policy is likely to be most successful where there is already a population concentration and where it reinforces growth patterns that are already evident. examples could be where there is new cash crop production, emerging assembly markets or strong transport trends, such as a growth axis caused by an improved inter-regional road system (which may encourage “voluntary” migration or settlement). Thus, ideally, growth and development should proceed sequentially from more developed to less developed areas. This reinforces the importance of secondary road links - to only upgrade local rural accessibility will not have a true impact without comparable upstream improvements. A related location theory that also needs to be understood in looking at marketing systems is that of Johann Heirich von Thünen, a German estate manager working in the early nineteenth century. The basic premise of von Thünen was that the competition between producers for land resulted in a pattern where the farming system that yielded the highest return would be able to afford the highest economic rent. essentially, users of high quality land within easy reach of a city would pay the higher rent; whist producers of low value produce would only be able to afford lower quality land and remoter locations. Von Thünen’s argument was based around the concept of pure “economic rent” or surplus, which is the return on a factor of production that is inelastic in supply. In reality, soil quality varies, agricultural wages differ and the costs of inputs and marketing change with transport costs and with the bulk and perishability of produce. Thus, the real world is somewhat different than the isolated state that von Thünen used to develop his theory and there are many distortions from the perfect competition envisaged. however, the basic principles he expounded are a very useful tool for looking at agricultural land use. Thus, with urban expansion peri-urban areas will be under the greatest pressure. The effective impact of this is that producers will adopt intensive production methods i.e. horticultural crops giving higher returns. As distance from the centre increases, cropping intensity is lower and arable crops prevail. Another important concept considered by von Thünen was the issue of transport costs related to marketing costs and margins. for example, a horticultural farmer may need to shift his or her production area; thus, the impact of urban expansion on agriculture may be an increase in overall costs. The farmgate gate price may increase as the costs of inputs are higher and transport costs from farmgate to market will also increase because of an increased distance to the urban area. Although the ideas on location and central places discussed above are “theories” they have had a significant impact on the development of planning policies and practice. As discussed above, these are normally expressed as “growth centre” and “growth pole” policies, sometimes related to transport corridors. The assumption behind adopting these principles has usually been that the most effective and least costly way of distributing services to serve rural populations is obtained by promoting a “balanced” growth of a hierarchy of settlements. The basic premise of these policies is that the higher level centres serve the lower-order centres, who provide services and goods to the rural region. Relations between producers and traders - the negative side of which might be the use of monopolistic practices and the positive side the provision of transport, extension advice and informal credit, which would not otherwise be available to small farmers. Source: Compiled from Satterthwaite and Tacoli (2003). IIED, London. There has been a some criticism of these policies, particularly whether they have had the expected impact in promoting rural development, particularly the agricultural sector. At one extreme, such planning can be exploitative and be used as a means of control of the local population. Clearly, therefore, adopting a settlement hierarchy principle can only be equitable where it meets locally driven demands and there is a high level of local participation in the formulation and implementation of development policies. But does it facilitate the operation of marketing systems? attracting rural migrants from the surrounding region by providing opportunities for non-farm labour - although this may frequently conflict with other macro-economic policies and sectoral priorities. The IIED have also reviewed the conditions under which small and intermediate urban centres might develop as markets for regional agricultural produce. These factors are summarized in Box 4. Small and intermediate urban centres can play a key role in connecting rural areas with both domestic and international markets, spurring local production and providing non-farm employment opportunities, hence, widening a local economy's base. Local centres are important in ensuring the provision of services and can help improve access to markets. 1. The basic issues that need to be reviewed. 2. The methods that can be used to review existing marketing systems. 3. The information needed to make an assessment of supply, demand and consumption. 4. Deciding on the types of surveys that need to be undertaken. 5. The uses to which data collected can be applied - analysis of survey results. The design of marketing interventions needs to be approached in a comprehensive and holistic manner. Potential benefits, such as reduced losses and more cost-efficient marketing, will not be achieved through single uncoordinated actions. This chapter outlines approaches that can be used to assess marketing systems, from both the supply and demand viewpoints. As the first step in preparing marketing development proposals, the gaps in the present marketing and distribution system need to be identified and a review made of the potential methods for improving marketing efficiency. An overall assessment of the flows through the marketing channels is a difficult exercise to undertake. without very extensive surveys accurate figures are virtually impossible to obtain and these can be both expensive to collect and time-consuming. The traders’ role needs to be thoroughly reviewed, as well as the part that assembly and wholesale markets play in the overall agricultural marketing system. The basic steps in a study are summarized in Box 5 and the information sources are described in this chapter. The fundamental difficulty with studying marketing systems is that it requires the surveyor to use a number of survey methods. Table 3 compares the wide range of survey methods that might be used to obtain appropriate data for developing proposals for either the design of marketing interventions in rural areas (likely to be at assembly markets) or in urban areas (wholesale and retail markets). No single technique will suffice. The data is also often scattered in many different sources and it is difficult to present in a comprehensible way. The conventional method to present marketing data is in tabulated form (see examples in Chapters 4 and 5) or by using graphs, supplemented by diagrams of marketing channels. mapping the data is a very useful way of understanding marketing systems and this is briefly described later in this chapter. studies by consultants and academic bodies. a. Identify production areas serving the region - locations and levels of production, growth trends, etc. b. undertake basic supply, demand, consumption calculations. c. Using surveys of farmers and interviews with market functionaries, identify the major channels of agricultural produce marketing and distinguish linkages among them, and estimate the relative importance of these different channels. d. undertake case studies of the main stakeholders in the marketing chain to evaluate their needs and requirements and, in particular, assess the needs of women traders and farmers. e. undertake simple interview surveys in existing markets, defining what produce is being traded, where it is coming from and when are the peak times that it reaches the market. f. Review existing wholesale fruit, vegetable, fish and meat markets including location, market structures and their acceptability to users, the legal basis for operation, management arrangements, fees and charges, hygiene and problems including those of supplier/buyer access and transportation. g. Review and update available information on retail markets and retailing practices as they relate to agricultural produce, including the practice of hawking and identify problems faced by the retailers. h. Review the policy, legislative, and institutional environment influencing the operation of agricultural markets. i. Identify the gaps in the present marketing and distribution system and review the potential instruments for improving marketing efficiency, to strengthen collaboration among all the actors and to obtain a better matching of supply with demand. To supplement the secondary data, primary data will also need to be collected on the existing marketing channels. These data are collected through formal market and traffic surveys or by using rapid market appraisal techniques. Chapter 5 describes a technique for interviewing producers. Some caution is needed in using these participatory survey methods as, although there are a vast number of techniques available, few of them are suitable for marketing studies. Chapter 6 outlines methods for undertaking market inventory surveys and for interviewing other actors in the marketing system (sometimes called “market functionaries”), such as collectors, transporters, wholesale and retail market traders, market operators and consumers. Chapter 7 gives details of transport and produce movement surveys. Trader questionnaires Not required; better to use informal methods Useful if agreement sought on fees/leases etc. The most realistic way of estimating the level of flows in the marketing chain is to compute the flows of produce of a representative number of crops for small definable sampling units. Precautions have to be taken to use random sampling and appropriate sample sizes have to be chosen. Alternatively, stratified samples can be used if the criteria for stratification are clearly defined. The average flow per sampling unit (for example, per agricultural district) is then multiplied by the total number of the sampling units in the whole study area to give an estimate of the scale of the flows through the marketing channels. Before working out the functioning of the marketing channels a useful initial step is to understand what produce is being traded, where it is coming from and when are the peak seasons for trading. This step is essential whether one is looking at specific markets or a whole marketing system. for smaller individual rural or urban retail markets this may be possible by undertaking a simple interview survey in the existing markets. however, when looking at a whole market system, particularly where rural assembly markets and urban wholesale markets are involved, a more comprehensive approach is needed. Step 1: define the population served by the market system, including the immediate population (urban or rural) and that of adjacent areas forming part of the study area. estimate the annual average population growth of the study area. Step 3: Estimate average per caput consumption of fresh fruit and vegetables (balance available for consumption divided by population). Step 4: Estimate variations in consumption levels in different towns and regions (there is usually variation between urban and rural areas) and allocate between marketing channels. Thus, in reviewing a marketing system it is also necessary to estimate the supply, demand and consumption of produce. detailed techniques are given in FAO Agricultural Services Bulletins 90 and 121. The basic principles are summarized in Box 6. Below, some of the issues and questions involved with making the estimates are discussed. enumeration districts and settlements is essential before assembling the data. What is urban? This is not very easy to determine, as there is a tendency for urban areas to spread out as linear development into the countryside. Smaller settlements (intermediate towns) are equally important as both supply and consumption areas. In looking at census data it is also important to be careful about the definition of the census districts - a district in a previous census may have been classified as rural, then reclassified as urban based on a local official definition of what constitutes “urban”. This varies significantly and is usually based on population thresholds. In general, countries with larger populations will tend to set thresholds at a higher level than those with smaller populations. 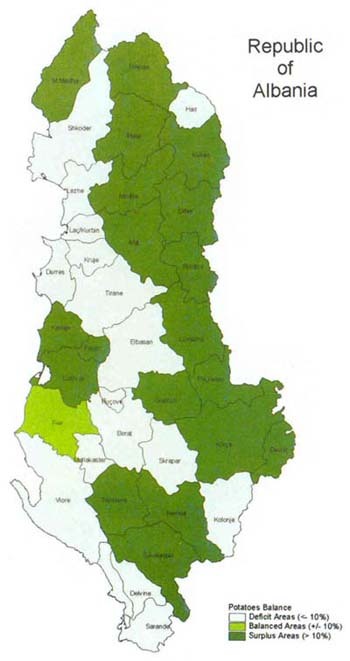 Alternatively, census boundaries may be based on the range of services that settlements provide (such as an administrative centre or rural market). The boundaries of census districts may also be reclassified between census dates, which make projections very difficult to undertake. Demographic change varies significantly between countries and growth rates also vary widely between different levels of settlement. Recent official census data needs to be used in making any calculations, particularly so that the natural increase in population can be distinguished from migration, as the latter is likely to impact on the composition of the population. It is also important to remember that despite global urbanization trends, in many countries the majority of the population lives in rural areas and is engaged in agriculture. The output of step 1 should include a definition of the existing population in the study area, distinguishing between rural and urban (for the main cities and towns) and estimates of population growth. Define the cropping patterns and calendar for the main production areas, distinguishing between perishable and non-perishable (storable) crops. The impact of peaks and troughs may also need to be investigated, such as the effect on supply and demand of religious and public holidays. Investigate the effect of increased food crop production due to the adoption of improved varieties and better extension systems, or opening up of new irrigated areas, leading to surpluses being available for sale and to a greater demand for marketing facilities in rural areas. Loss of agricultural land (and water retention areas) and kitchen gardens through urbanization, both within and on the edge of urban areas, necessitating supplies from more distant sources. Using local data on elasticity of demand for produce (i.e. whether consumption of individual products changes if prices go up or down). This is a much more complex method and reliable data is rarely available. Changes in consumption habits also need to be reviewed, such as shifts to purchasing convenience and pre-packed foods from rapidly emerging supermarkets. The easiest way to define urban food demand is by examining the throughput of the wholesale market, if this data is available. (A format for undertaking an internal produce movement survey that would produce this information is given in form C). Care needs to be taken that the survey also takes account of produce that may be bypassing the main markets, such as that which is purchased at the farmgate and goes directly to sales outlets, such as supermarkets, and produce that is going directly to processors. If such survey data is not available, the most convenient technique is to make a rough estimate using the per capita consumption data (described above). Some care has to be taken in using this data as available figures tend to be national averages, or at best there may be a split between urban and rural consumption. After completing these steps they should provide a numerical framework with which it is possible to undertake an analysis of marketing channels and functions described in Chapters 5 and 6. The first step in preparing an overall evaluation of a marketing system (see Chapter 4) is an analysis of the results of the community PRA and other surveys, described in Chapters 5 and 6. The use of data for assessing marketing infrastructure investments will depend on whether it relates to rural production or to demand generated from population change, which would relate to urban conditions. Common to all the uses described below will be an analysis and interpolation of data collected on marketing channels, margins and facilities. excessively complex statistical methods are not usually appropriate and the use of correlation methods, for example, is easily misinterpreted and not a substitute for clarity of thought. providing a marketing input to the design of rural road improvement programmes and to the promotion of intermediate forms of transport (see Chapter 7). providing a marketing dimension to urban road or public transport improvement programmes. The surveys can also provide a baseline by which any of the activities above may be measured and their impact subsequently assessed (see Chapter 4). Maps are often the best means of presenting a visual representation of marketing systems. maps allow the data that has been collected as a result of the surveys described in Chapters 5 and 6 to be related to the particular local circumstances, such as the location of geographical boundaries, the shape and extent of catchment areas and the type of transport network. The statistical link between data can be established without graphics - but graphic analysis is clearer as marketing data always has spatial dimension. mapping is useful for understanding: the present status of a marketing system as well as how the marketing system has been changing. In mapping, the first issue to determine is what geographic area to use. Generally, there are a series of nesting catchment areas, as described in Chapter 2. At one extreme a study area may consist of a single production area with a definable catchment area, with one route to a single market outlet. The other extreme may be many production areas, served by a number of channels, with variations in marketing system by crop and variations in the marketing system depending on the socio-economic status of the producers. Although it is possible to look at a single market or marketing channel this is not usually that helpful as a means of understanding an overall marketing system, which is likely to have many channels and overlapping catchment areas. 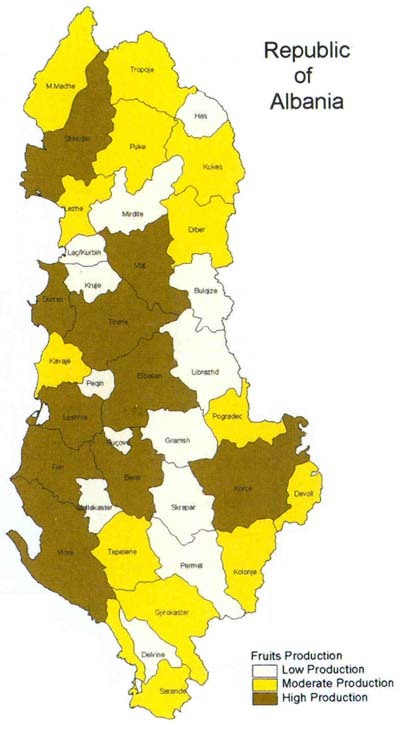 What affects the shape of catchment areas? The area served by a particular rural market or group of markets can be established by looking at the production areas within walking or animal cart distance of a market - a maximum radius of 10 kilometres from a market is a reasonable assumption. A longer distance could be assumed when an assembly market is being planned and farmers have access to public transport or small trucks. In that case the catchment area will depend on the availability of alternative market outlets. If there are no other large rural centres with markets a “catchment” area for an existing or new assembly market could have a radius as high as 50 kilometres. Box 7 summarizes some basic characteristics of rural catchment areas. For an urban market the catchment area needs to be looked at from the opposite viewpoint - what are the production areas from which the majority of its supplies originate? where is the present entry of produce into the city? Production areas within walking or animal cart distance of a market - maximum radius of 10 kilometres from markets is usual. If there are no large rural centres within its “catchment” area an existing or new assembly market could have a radius of 50 kilometres. physical boundaries, such as hills, watersheds and rivers, and other boundaries, such as local authority and census boundaries. There are three main types of mapped outputs that can be useful for understanding marketing systems: thematic maps, networks, and dot/contour maps. The mapping can be prepared using a computerized geographic information system (GIS). This is a powerful tool, but maps can also be prepared manually. For analysing market systems effective mapping can be obtained by plotting two or more data sets together, so that relationships can be clearly shown. Superimposing different data sets using overlays (sometimes called sieve mapping) can provide an understanding of the relationship between the different variables. for example, surplus production areas related to seasonal fluctuations in supply. This is the most straightforward way of presenting marketing. for example, they can be used to relate flows in marketing channels to linear data, such as transportation routes. A factor in preparing network maps is to decide what types of distance to represent - direct or actual? The use of dot maps is also appropriate in some cases. These can show the intensity of a particular feature, such as the number of middlemen by geographic area. A map might show their distribution - effectively the density of traders. frequently, these data are represented by grouping values which provides a useful visual comparison between areas - but this does not necessarily provide a true representation of the magnitude of particular phenomena. 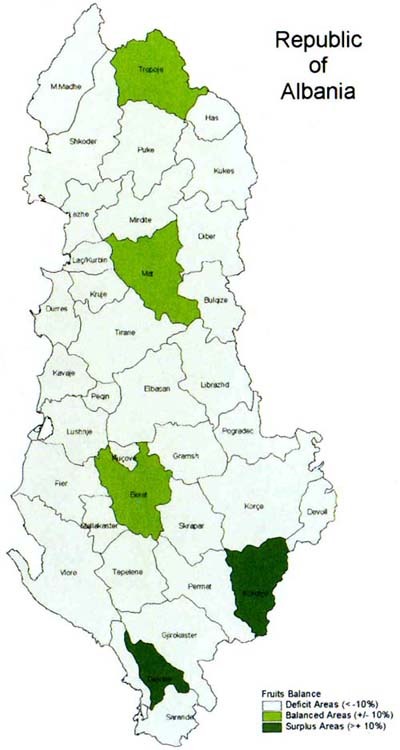 Figure 3 illustrates examples of thematic mapping of the rural market system in Albania using GIS. 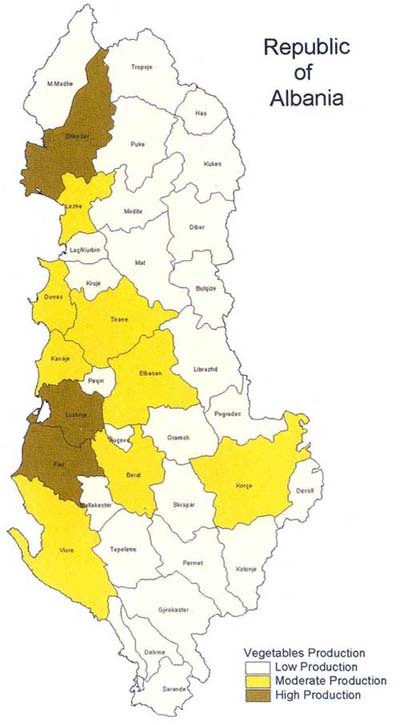 figures 3a–3f illustrate the spatial distribution of vegetables, potatoes and fruits, based on the district production data, compared with the food balance (defined as surplus and deficit districts, derived from estimates of potential consumption of the districts’ population). figures 3g–3h show the evolution of these patterns, integrating the existing and proposed wholesale and assembly markets with the road system and settlement pattern, into an overall strategic action plan for market development. The action plan is based on the principle of developing marketing regions consistent with the national market planning strategy, providing a facility appropriate for the location and reinforcing the hierarchy of markets and settlements. In this case the mapping process becomes part of a “strategy” approach (described in the next chapter), which places greater emphasis on the process of planning (rather than a fixed plan) and on involving the participation of the major stakeholders. 1 The type of development options and assessment methods that may need to be considered. 2. how to apply the survey results in reviewing options for rural marketing interventions. 3. how to integrate the market selection process into a regional planning framework. 4. how to use the survey results in reviewing options for urban marketing interventions and preparing overall marketing strategy plans. 5. how to prepare an overall action plan for market development that reinforces and improves market linkages. 6. The basic steps in market design, implementation and operation. 7. how to monitor the impact of market developments. Making the most effective use of resources depends on an efficient planning and appraisal process. Therefore, options need to be appraised and the most appropriate solutions selected. An important point to emphasize is that any evaluation method must include a role for all the stakeholders, in addition to the decision-makers and their technical advisors. deciding whether to make any form of marketing investment at all. Evaluation techniques for ensuring the viability of individual market proposals are described in a series of FAO market design manuals (see list of further Reading). however, before reaching this detailed design stage it is first necessary to ensure that the locations for the marketing proposals are sound and that they will reinforce and improve the pattern of marketing linkages. The purpose of this chapter is to outline methods that can be used to ensure this occurs. Although, ideally, the decision making process should have as a starting point quantified data on produce flows through the marketing channels, this is unlikely to be available. The survey and analysis methods described in the previous chapters will give an impression of the pattern of marketing (who is involved and the marketing channels they use) and this will be invaluable in evaluating proposals that might be considered for solving farmers' marketing problems. discussing options with communities and traders (on an individual and group basis) to reach agreement on practical steps that can be taken to implement the proposals will also be essential. The practical approach to evaluation is to start at this point and to follow through a process that ensures that the proposals are wanted by the users, but also that they are likely to be financially and operationally viable. The essence of a sound evaluation method is that it should be transparent and easy to apply. for these reasons, evaluation methods need to be systematic, quick, simple and inexpensive to use. They need to be comprehensive enough to take account of all the main factors relevant to decision making. It is important that the evaluation method can organize the information in a way that the decision-maker and users can test the evaluation against their personal experience. The step-by-step processes described in the following sections have been practically applied and found to be useful. Strengthening farmer-to-market linkages requires a conscious effort to be made to enter into a dialogue with the potential users of market facilities. This will include discussions with key players (farmers, collectors, transporters, retailers, traders, cooperatives, etc.). The market channel surveys outlined in Chapters 5 and 6 will form part of this process. They will engage the market users in the design process by identifying the principal flows in the markets and by discussing with the users what they perceive as their problems with the marketing system. These data provide a useful starting point for local authorities and marketing departments in the identification of potential improvements to market systems. A process for the eligibility and selection of rural primary and assembly markets is described below. The method can also be adapted to selecting retail market centres in urban areas, but for situations where wholesale markets are involved a more rigorous approach is required (described later in this chapter). Experience throughout the world is that the development of rural markets can be one of the most cost-effective and reliable ways of addressing the problem of marketing small quantities of produce. Although alternative strategies might be considered, such as farmer-owned marketing cooperatives and packhouses, these are likely to be less effective than directly addressing the farmer’s marketing needs. The best approach adopted, therefore, is usually to work to improve the existing marketing chain by reinforcing the link between farmers and market outlets to make the system more efficient by improving the physical conditions under which marketing is undertaken. This implies activities which will, in time, support specialization in the marketing system such that farmers may no longer have to retail their own produce and assemblers, wholesalers and retailers will be able to concentrate on those functions, rather than playing multiple roles. In line with the principle of reinforcing the link between farmers and market outlets, an overall participatory process needs to be applied from the selection of target area up to the completion and operationalization of the candidate markets. The main precondition for starting the process should be that the local authorities or other agencies that might potentially be included in the programme are identified. In addition to meeting the basic eligibility or selection criteria (discussed below) the inclusion of the local authorities will also have to be verified against whether there is synergy with other planning factors, such as the presence of viable cooperatives and market outlets. Institutional constraints will also need to be considered to ensure that there is sufficient capacity to implement the programme. The typical eligibility criteria that need to be applied as an integral part of this process are shown in Table 4. The application of the eligibility criteria should be a two-stage procedure. The first stage (pre-qualification) should be used to confirm that the candidate markets meet the basic location and access criteria for consideration under a possible programme. The second stage (qualification) should be to apply more detailed criteria to ensure that the market improvements are technically possible and to obtain from the local authorities safeguards about the operation of the market when it is completed. The implications of the application of the operational conditions are summarized later in this chapter and described in greater detail in other FAO publications. 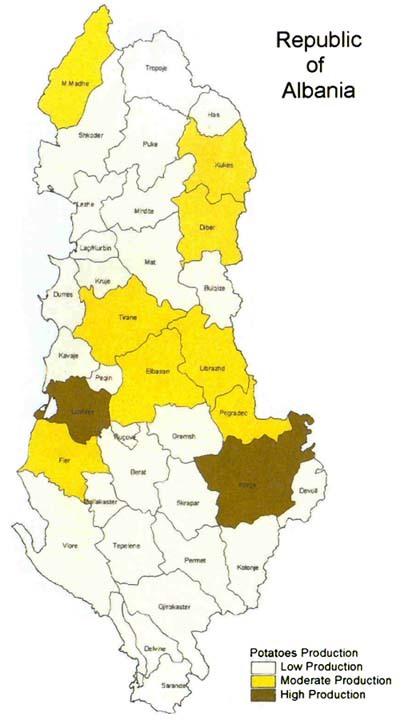 In considering the selection/eligibility criteria it will be important to look at whether the market improvements can be linked to other rural infrastructure activities being undertaken in the locality (district or region), such as the rehabilitation of irrigation works and the development of processing and storage facilities. 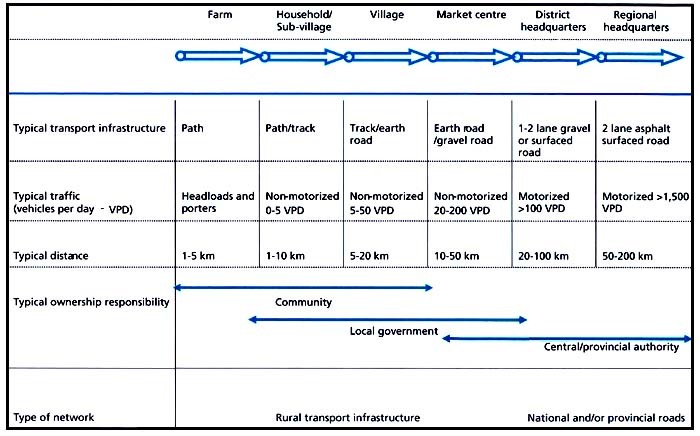 In particular, the development or improvement of rural primary and assembly markets requires that a linkage be established with rural roads that connect the markets into the local and higher-level regional road system. however, in most countries the potential scale of financing that is needed to fully support rural road rehabilitation and maintenance is likely to exceed the available financial and management resources. This will necessitate a prioritization approach being adopted. A core network of roads will need to be defined to ensure that minimum all-weather connectivity is achieved for the main assembly markets and other key points in the marketing system. incorporate a socio-economic dimension into the design process that realistically reflects the physical circumstances of rudimentary rural markets linked to an unimproved network of rural roads with low vehicular traffic volumes. The approach suggested below is essentially one of trying to identify markets for improvement that are linked to the “core” network of roads. This planning framework offers a process that is iterative and can allow the stakeholders at different levels to enter into a dialogue with the local, district and regional authorities. 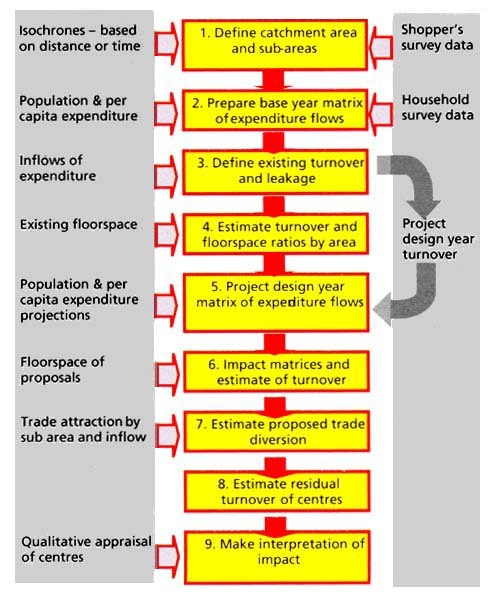 A regional planning process for market upgrading would ideally have eight stages. The first stage of the process is to prepare a market infrastructure inventory for each market facility that might be included in the programme. A checklist of the typical scope of the market infrastructure inventory is shown in Chapter 6. Based on the market infrastructure inventory and the results of the surveys of producers and marketing functionaries, Stage 2 of the process will be to sketch out an outline annual programme. This needs to be undertaken in close consultation with representatives of the stakeholders and local authorities - to priorities which markets might be candidates for inclusion in the programme for that year. A common challenge at this stage will be to avoid political pressures and dissuading the stakeholders from including markets solely on the basis that every area should be allowed part of the “cake”. It is critical, therefore, that the initial steps to assess whether the markets fulfil the basic location criteria (see Table 4) are undertaken carefully. An operating market or trading activities should ideally already exist at the location and it should be located in a surplus production area. The market should also ideally have more than a purely retail function and have a clear role as an assembly point and a significant existing or potential throughput. The next activity will be for the potential road links to the markets to be identified. markets should (ideally) have all-weather road access, but this will not always be possible. The accessibility of the candidate markets needs to be defined, in terms of how the access road (or roads) to the market link into the rest of the district and regional road network. Choosing the best route will need to be done with reference to the region’s road planning strategy documents, which should normally include overall network plans. connect the market to an administrative centre, local town, or regional capital, including links to higher-level socio-economic services, such as terminal markets, senior schools and hospitals. traverse an agricultural surplus production area. Attention will also need to be given to whether the route has potential for facilitating new economic activities, such as expanded agricultural areas and tourism, as well as the possible synergy the market access road might have with other projects of donors, NGOs and local government. The output at the end of the pre-qualification stage will be a “first-cut” listing of the priority markets, possibly with associated road links. After this preliminary screening has been completed the markets should be ranked. The simplest form of ranking is to rank markets in order from “high throughput/good road access” down to “low throughput/poor road access”. If the market or associated route is not immediately justifiable it should be re-classified. The first activity of the qualification stage is to confer with the local road authority to ensure that the identified road links are feasible and will fulfil the socio-economic viability criteria that are being used by them to prioritize their road programme. These may include whether the prioritized routes fulfil a minimum economic internal rate of return or meet the selection criteria incorporated into a multi-criteria evaluation method (see Chapter 7). The next stage will be to make a site visit to the potential market improvement sites. The purpose of these visits is (i) to make an initial physical check on the feasibility and cost of improving the market and to (ii) initiate a discussion with the local authority and other stakeholders on the principle of improving the market, including introducing them to any operational eligibility criteria. The site area should also be checked and the possibility of expanding the market in the future verified. If the site is found to be very constricted or involve high development costs because of steep slopes or difficult drainage conditions then the candidate market might have to be rejected or deferred. the works can be linked to other rural infrastructure improvements, such as minor irrigation works and the rehabilitation of rural roads. The next activity should be to confirm that there is no land ownership or environmental conflicts with using the market site. ownership of the market site needs to be certain. The overall site might include roads, paths and open areas that are under the local authority and adjacent plots belonging to individual retailers or wholesalers, or to cooperatives. In some cases it may be necessary for land or lease certificate evidence to be produced to clarify the ownership situation. An environmental screening needs to be undertaken to ensure that there are no significant impacts derived from the use of the market site and that a detailed environmental impact assessment does not need to be carried out. Consultation with the local environmental protection agency may also be necessary to confirm the status of the market site and to obtain an environmental clearance certificate, if this is required. As part of this process the environmental status of the potential road links will also need to be considered. The main land uses through which the road alignments pass will need to be checked to see if there any potential conflicts with environmental factors, such as the location of protected areas. If there is a conflict this may be discussed with the environmental protection agency to see whether it is soluble. environmental mitigation measures or management procedures may need to be included at this stage, which again will need to be designed in consultation with the environmental protection agency, such as siltation, can be dealt with by incorporating appropriate mitigation measures in the engineering design. This should not affect the choice of roads, but the cost of the measures should be incorporated in the cost estimates for road upgrading. The penultimate stage in the process is for the operational conditions for the market to be agreed with the local authority and market users. This will require a special meeting or workshop to be set up to which representative local stakeholders, such as local wholesalers, retailers and farmer’s groups will need to be invited, plus a selection of key informants (local “experts”), including women's group representatives. The outcome of this consultative workshop should be a signed memorandum of understanding (MOU) between the market investor and local stakeholders, (which until a marketing committee is actually established is likely to be only the local authority). The community should be attracted to attend the consultations by widespread advertising of the meetings (using local posters and radio, etc.). to set aside funds from clearly specified sources for the recurrent operations and maintenance of the assembly markets. At the end of Stage 7, the final choice of a short-list of markets for the coming year’s programme may be constrained by a number of factors. These might include: (i) the proposals exceeding the overall size of the funding envelope for that year’s programme; (ii) an unsatisfactory or inconclusive result from consultations, where the MOU could not be finalized; and (iii) where no commitment could be obtained on the maintenance or upgrading programme for the associated link roads. In any of these cases, the proposal should be returned to the pool of potential programme activities and could be re-considered the following year as part of a rolling investment plan. The final stage is the compilation of the final choice of markets as components of an annual work plan and budget. The budgeted amount will need to include provision for both the capital works and an allowance for the design and supervision fees. If there are agreed road links to the market a funding request will need to be made for this. the potential for expanding or redeveloping an existing location. urban fruit and vegetable market : 5–10 tonnes per m2. urban wholesale markets : 20–25 tonnes per m2. More details on how to apply these standards, taking account of population growth and changes in demand, are given in other FAO manuals (see further Reading). These simple calculations can be used in conjunction with the consultation method described above for rural markets, but with less emphasis on the road access. constraints on the use a location. These could be transport (e.g. congestion, lack of parking, etc.) or environmental factors, such as conflicting land uses and pollution. As with rural markets, it is essential to involve the stakeholders in the whole design process. however, the level of investment in major urban infrastructure requires that attention also be given to quantifying the impact of the development. Thus, what planners attempt to do in urban areas is to model the marketing system. Complex statistical (multiple regression) techniques, based on empirical data, or theoretical models can be developed to relate these factors. In these cases the financial turnover is treated as the dependent variable and the related factors as independent variables. Regression coefficients are included in the calculations derived from a calibration of data related to existing retail facilities. However, these models do not deal with the spatial interaction between locations. Another approach, commonly adopted in western countries is to use a spatial interaction model, the most common of which is a gravity-model (sometimes called a “spatial interaction model”). Such models are based on the principle that there is an inverse distance relationship between the location of market centres and the users of such centres. Using a gravity approach enables the modelling of the flow of customers (and revenues) between their places of residence and retail facilities. These models are predictive and do not optimize location. The general form of the gravity model for locating retail trade, which links expenditure and accessibility, is shown in Box 8.
there is a common tendency to simplify distance in gravity models to pure distance, not reflecting time or cost differences in operating the road network. A simpler method is usually needed than these modeling approaches. what is usually used is a “rule of thumb” checklist. An example of this procedure for assessing impact is shown in figure 5. This methodology is robust and is more reliable than using gravity models. To apply it in a rigorous manner in developing countries is unlikely because of the almost universal lack of reliable household expenditure data. However, the basic steps in the methodology are useful - particularly if throughput (in tons) is used as a proxy for expenditure. The model can be applied to a variety of situations. It can be used to look at the impact of introducing a new wholesale market; the effect of introducing new centres as part of expanding an urban area; and as a method for assessing the impact on existing facilities of constructing a new supermarket. The stakeholder involvement in the process would normally be during steps 1 and 9. As a variant to using an impact assessment technique, simple rating or ranking models can be applied, as long as it is remembered that they need to be reviewed carefully, preferably by traders and other market users who have an understanding of the dynamics of marketing. In combination with the modeling of the marketing system, the proposed locations of the facilities, together with other features, such as road links and catchment areas, should also be mapped. This will often give a much clearer idea of the marketing proposals, as many of the stakeholders (and planners and decision-makers) are not used to looking at detailed tabulations or graphs. details of the institutional arrangements. Box 9 illustrates an example of a marketing policy to improve linkages in Cianjur, Indonesia. The example is a small-scale, but integrated, programme for developing marketing sub-terminals, which provide a range of services, together with associated improvements to rural roads and irrigation systems. Table 5 illustrates a more complex example. It makes a comparison between existing marketing practices and a new approach promoted by a marketing master plan, which in addition to making physical infrastructure proposals also addresses governanace, institutional, legal, land use, environmental and public health issues. once markets have been included in an annual work plan and budget then the detailed process for design and construction of the markets, as well as for setting up an effective management and operation system, can be commenced. The whole process will need to be undertaken in close collaboration with the market users. further details on the design process are given in the FAO publications listed in the further Reading section. The annual work plan and budget will usually allocate a “notional” budgetary allowance for constructing the markets, but this will need to be elaborated during the detailed design phase including, if appropriate, undertaking an elementary financial analysis of the proposals to ensure that they are viable. Kabupaten (regency) level agro-business pilot project, focusing on two villages with 1 500 farmer family groups producing organic vegetables, bananas and ornamental plants. To make farmers more competitive, to discourage out-migration and to act as a model to replicate. d. gathering point for traders. The market development project will go through a number of distinct stages and these are summarized in figure 6. The critical stages are stages 1 to 5, from the initial brief through to testing the feasibility of the proposals. These five stages (sometimes called “project preparation”) will determine the final direction the project ought to be taking and confirm the decision to proceed with its implementation. The process starts (Step 1) with the identification of the marketing problem and needs of the users, particularly women (often) the main users of the markets, leading to broad recommendations on how these problem might be solved. Physical as well as socio-economic surveys will be required at this point (Step 2) to allow design to proceed. An assessment will need to be made of the performance of the existing markets in the selected local authorities. This will be undertaken in consultation with the local authority and the market users (producers, traders, etc.). data already collected through the field surveys, described in Chapters 5 and 6, together with desk studies of existing information (such as published maps) need to be brought together and analysed. Special surveys may need to be undertaken at this time, for example, surveys for targeting women and/or vulnerable groups or specialized surveys to supplement an environmental impact assessment. The next step (Step 3) is to identify with the users or community the various planning and infrastructure alternatives that are available to solve the identified planning problem and to priorities these options. essentially, at this point in the process, it should be clear what the community wants and what is appropriate for the situation in terms of space and facilities. Lack of co-ordination of marketing issues, insufficient trained staff in marketing - to advise on the design of facilities and programmes, operations and professional management, statistics, price information, etc. Consolidation of marketing-related matters (horticulture, fish, livestock products, etc.) under one body. Suggestion to move MDD to become a separate unit directly under the ministry of Agriculture. Train and equip the staff of the unit. Marketing programmes often designed by officials and donors without involvement of stakeholders. Traders and farmers involved from start as equal partners, with officials acting as facilitators to solve marketing problems. Existing rural land-use controls are largely ineffective. Policies on agricultural land-use are based on conservation considerations (i.e. preserving “green” space) and not on maximizing the incomes of growers in the valley. farmers are viewed as culprits in damaging the valley and as part of the problem. Rural land-use decisions based on maximizing sustainable use of land suitable for higher value crops (but compatible with hazard control and watershed conservation needs) - taking account of farmer’s interests, needs, knowledge and ability to manage their own natural resources. Greater emphasis given to locally based land-use planning. Interests of local producers in marketing not accommodated in urban areas -; leading to use of unsatisfactory facilities, such as roadside sales at Anam Nagar Road. Provision of new collection centres in the production areas and growers markets at planned locations, such as on the edge of the urban areas. Proliferation of unauthorized food trading activities (family shops, pavement sellers and hawkers), providing a convenient source of cheap food and giving employment opportunities for low income groups. Illegal status leads to harassment. Licensing and regulation of food sellers - but going with clear provisions being made to accommodate small-scale retailers, and with costs for use of space set at low and realistic levels. Commercial land-use decisions ignored in master plans and no special provision made. Thus, retail market facilities have grown spontaneously, often occupying road space, and are seen as a problem and nuisance (causing traffic congestion, waste disposal and public health problems). Retail facilities planned (or encouraged) to locate in new local and neighbourhood centres by providing space - so that the centres can act as focus for planned settlement areas (land pooling and guided land development areas). Small-scale “infill” markets planned in existing urban areas. Livestock slaughter and sales facilities are inadequate and not in accordance with elementary public health standards. Initiating a programme of private sector operated slaughter slabs and improved butcher’s shops. Public concerns with improved food quality not recognized and little concern with point-of-sale hygiene. Greater emphasis given to testing foods for meeting public health standards, pesticide residues, etc. Markets only seen as a source of revenues and not as a public service. Insufficient resources set-aside for maintenance. Revenues from market users and hawkers collected and used to invest in maintenance and new market developments. Local authorities do not see themselves as service providers of marketing facilities: there was no legislation or policies for providing markets and for their management. New decentralization/self-governance legislation provides powers for local authorities to develop and manage markets and haat bazaars. A lack of existing legislation and regulations for the operation and management of market facilities. Provision of new draft regulations for the operation and management of market facilities and for regulating hawkers. Little emphasis in marketing for small-scale farmers and informal sector traders, including women and disadvantaged groups. Particular emphasis on small-scale farmers and on gender equity and disadvantaged groups (by providing special areas in markets). Little direct use made of private sector resources to stimulate development activities. Local authorities entering into agreements with the private sector for the development and management of market facilities. Outline proposals are then drawn up (Step 4), sometimes requiring a range of different options to be looked at. Some initial ranking of the options may be made. Sometimes at this stage it is necessary to look again at the design brief and make modifications - the design may need to solve a completely different set of problems to that which was originally anticipated when the designs were discussed with the users. The next step in project preparation (Step 5) is where the market improvements are designed in some detail and budget cost estimates are prepared. A financial analysis may need to be undertaken at this point to confirm the feasibility of proposals for larger markets - to confirm that revenues are going to be sufficient to cover operating costs. A saving of 2–3 % of the total quantity (or value) of produce marketed is usually considered a realistic assumption. more details of simple methods for undertaking economic and financial analysis are given in the other FAO manuals in this series. Before proceeding with the detailed design drawings, specification and a simple schedule of quantities (Step 6) the proposal needs to be agreed with the financier of the project through a process of negotiation and approval. design adjustments may be needed to meet cost limits. This is followed by the preparation of tender documents, the tendering process and the letting of contracts (Step 7). The project is then implemented (Step 8), through the provision of construction services. finally the project is monitored by the users and evaluated (Step 10) to ensure that what has been implemented conforms to the original project design and that any lessons learned from the experience can be applied to any further projects. The monitoring process is discussed in the next section. The targets for measuring the direct results of a market improvement programme are difficult to determine at the outset. Such a programme is in part capacity building, but a significant part of a programme is likely to be finance-driven (see Box 10) and often includes a beneficiary contribution). provide an indication of what adjustment should be made in future management and design. - Improved market maintenance and management. Given the grassroots emphasis of a market improvement programme the monitoring system should aim to provide tools that can be used by the key actors at all the implementation levels. It should inform management of the progress in implementing the physical targets of the programme. Standardized reporting on a small number of key indicators will allow more meaningful impact assessments to be made and this information can be used to modify the programme to match changing and evolving circumstances. Regular programme evaluation and reports prepared by a marketing department supported by market committee reports should be used to monitor the marketing improvement programme. These reports will also include environmental impact and gender dimensions (gender policy and disaggregated data). Typical indicators are shown in Table 6.